Reconsider throwing your leftover condiments away- they could be the perfect ingredient for a salad dressing. Have a tiny bit of mustard left in the jar? 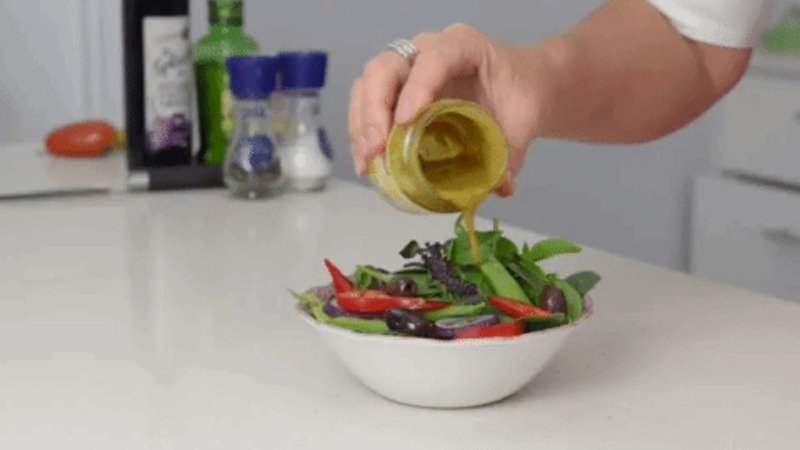 Toss in a few ingredients and shake to make a delicious Dijon vinaigrette. Add a crushed garlic clove and some freshly chopped herbs. Pour in balsamic vinegar, season with sea salt and cracked pepper, then close the lid and shake. Add olive oil; shake again to emulsify. Drizzle over your favourite salad. With a tightly sealed lid, it will keep in the refrigerator for up to 1 week!